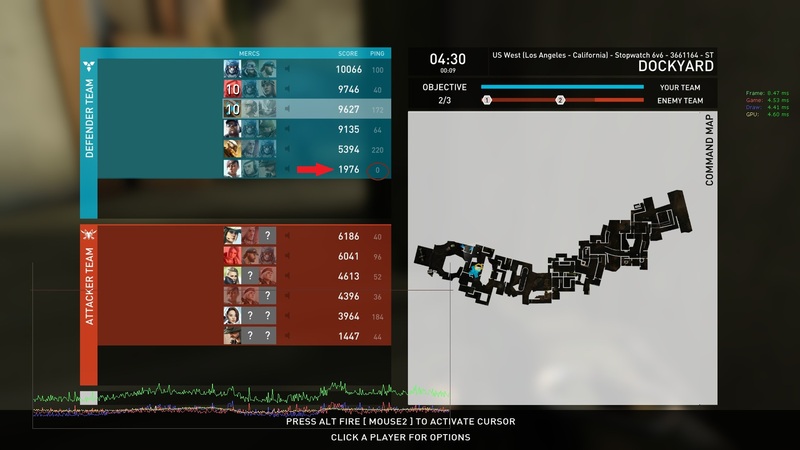 So typically in the game Dirty Bomb, when the team is losing, the noobs start leaving and the team gets imbalanced further until some other unlucky chum fills the void. I came in about 3 minutes into the match and we’re down by 2 players. OK, so it was fine, until I convinced some of them to help stop the EV and heal/revive those stopping the EV movement. This guy comes along around the 4 minutes to go and plays team healer but strange thing is… his latency reports 0ms. Of course, he gets 200XP every now and then for every minute we held the defence + the healing the Aura’s health station provides, but wow… he can literally be the definition of game replication anomaly. Playing on the server itself?? Dunno thats weird. I think multiplay servers fd up again. My server yesterday kept going to trainyard no matter what we selected had to reboot server. And i kept getting kicked from servers becuase db was in maintenance mode. At the end of matches. I guess it’s possible to have 0 ping on average if you live close to the data center and have a really good internet connection. When I used to live on campus at the University of Twente we had a gigabit connection and I sometimes had 0 ping on the Amsterdam servers. Might also be due to some rounding error or inaccurate calculations.